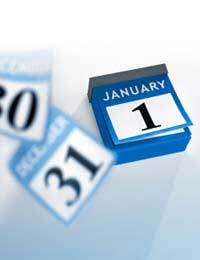 The thought of going anywhere on New Year’s Day may be the furthest thing from your mind. Many people will be simply relieved that all the stress and rushing around over the Christmas period is over at last whilst for others, you’ll be too busy nursing sore heads from the night before. But for those who are up with the lark and bright eyed and bushy tailed, you may feel the urge to do something a little more adventurous or maybe you’ll simply enjoy getting out of the house for a few hours. Here are a few of the most popular New Year’s Day traditions in the UK. Going to the movies is a popular pastime on New Year’s Day. For one, it doesn’t take an awful lot of effort to sit back in a chair watching what’s basically a giant TV screen and, furthermore, all of the blockbuster Christmas releases which you’re likely not to have got around to seeing whilst all the Christmas festivities were in full swing will still be showing in the cinema. There will usually be around 3 or 4 horse racing meetings taking place on New Year’s Day so a day out at the races maybe just the thing you need to blow the cobwebs away and it will hopefully get your New Year off to a winning start. A day at the ice rink is fun for all the family and can turn into a hilarious day out especially if people keep falling over. Ten-pin bowling is also a fun family day out if your headache can stand hearing the constant clatter of skittles being knocked over. There’s nothing like a walk in the woods to clear the mind and being outdoors is great for reducing the stress levels that no doubt you’ll have experienced over the Christmas period. If you’ve got young children, you might want to turn it into a treasure hunt to make it more fun. Hogmanay is what the Scots prefer to call New Year’s Eve and it is certainly true that many Scots place far more of an emphasis on celebrating New Year’s Eve than they do on Christmas and the traditions of a Hogmanay celebration are legendary. The good thing about Scotland is that they also get a holiday on January 2 so the party is still likely to be in full swing if you are able to head up there on New Year’s Day. Although not all shops are open, many are and they’ll often start their sales on New Year’s Day so if you haven’t spent all your pennies over Christmas, why not get up bright and breezy on New Year’s Day and see if you can bag yourself a bargain or two. For those who prefer to jet off somewhere, prices of flights often tumble from New Year’s Day onwards so it’s the perfect opportunity to escape from it all for a few days. And, as well as the likes of Spain, trips to Lapland to see the Northern Lights and the Eurostar to Paris are both very popular at this time. People also jet off to Ireland for the day given its close proximity to the UK mainland and the fact that budget airlines have made travelling there so cheap. Perhaps you’re feeling so rough after overindulging on New Year’s Eve that the only thing you can think of to cure your hangover is to have a ‘hair of the dog’. Better still, why not treat the family to a pub lunch? And, if your head is throbbing so much that the thought of going anywhere is just too much, why not simply crawl back under the duvet….January 2 will be here soon enough!